Sainthorto is an interactive garden which thanks to Arduino and a good part of creativity, interacts with the environment producing a soundscape where the melody changes according to the environmental changes and the meteorological parameters shaping an always unique space. Sainthorto is a contemporary and energetic garden characterized by a series of full and empty triangles which follow one another according to a educational path with sociologic and cultural functions. 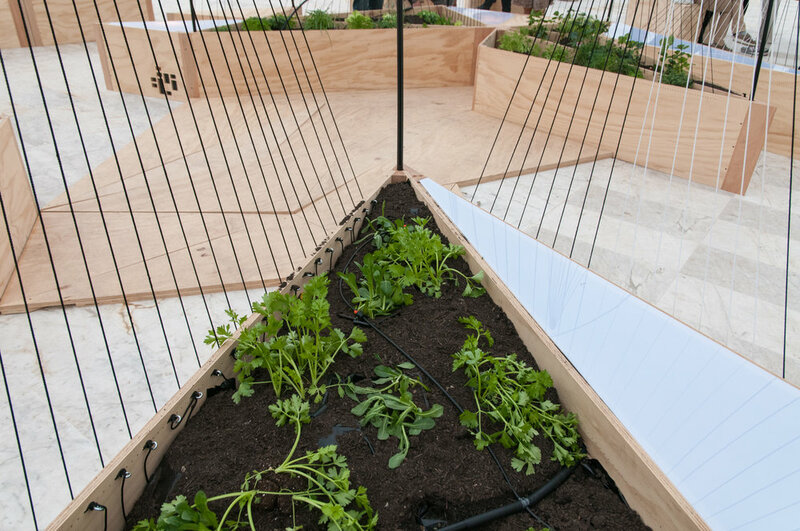 Sainthorto is the winning project of the international competition Hortocontest and has been presented for the first time during the Maker Faire Europe Rome in 2013, then at the Milan Wired Next Fest for Expo 2015, at IF and Farm Cultural Park in Favara and Siracusa. Sainthorto is also winner several prizes, among them the prestigious Architizer A+ Award 2014 and the Coldiretti Oscar Green 2017. Its drawings have been exhibited at the Moma Museum of Modern Art in New York within the exhibit “Cut ‘n’ Paste: From Architectural Assemblage to Collage City”. Sainthorto’s first configuration was conceived by Francesco Lipari, Vanessa Todaro and Federico Giacomarra along with Vincenzo Core, Marco Pesoli and Alberto Serra. 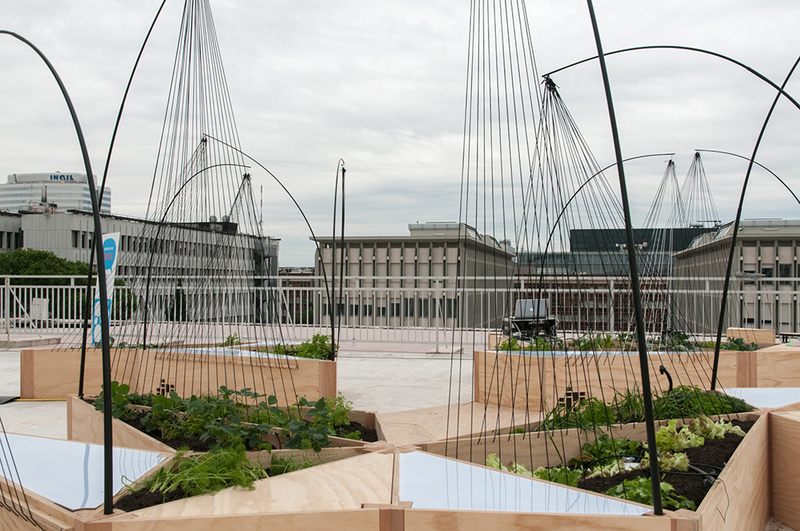 It’s an “island” that activates all senses for the well-being of people and plants. A green space with harps who act as support for plants with seating for dining. A dynamic environment where people meet up and find themselves, a space which sends messages to social networks, tells about itself on internet and activate water with a tweet. This is Sainthorto, the project of an interdisciplinary team who wants to push in a new way of conceiving green and urban gardens joining architecture, music, nature, culture and social technologies.